A man from Kent who was planning a “spectacular multi-victim attack” on one of the country’s busiest shopping streets has today (6/3) been jailed for life. 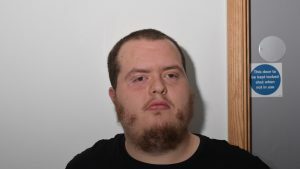 Lewis Ludlow, of Warren Wood Road, Rochester, will serve a minimum of 15 years in prison, after he was jailed at the Old Bailey, following an investigation by Counter Terrorism Policing South East (CTPSE). The 27-year-old had previously pleaded guilty to one count of engaging in preparation of a terrorist act and one count of arranging money for acts of terrorism. The Daesh supporter admitted to planning a UK-based attack which involved hiring a vehicle and driving it into a heavy concentration of people on Oxford Street in London. Ludlow was already being monitored by counter terrorism detectives and had previously attempted to travel to the Philippines, where he had been sending money for terrorist purposes. After being stopped when trying to leave the country and having his passport confiscated, he progressed plans to launch an attack in the UK. Despite his plans being well progressed, he was detained by detectives from CTPSE and Kent Police, before undertaking the attack. He then attempted to destroy the phone he had used to pledge his allegiance to Daesh, however the phone was recovered from a storm drain near his home. Detectives also recovered images he had taken during his hostile reconnaissance visit to London. Judge Hiller jailed Ludlow for life, ordering him to serve a minimum for 15 years before being considered for parole. Detective Chief Superintendent Kath Barnes, head of CTPSE, said: “Ludlow was planning an attack in the UK after swearing an oath of allegiance to Daesh, and he had gone as far as writing out attack plans and conducting reconnaissance of potential targets. “We have dedicated units across the country who accept the extraordinary challenge of keeping the public safe from terrorist attacks. I have no doubt that Ludlow was fully intent on committing a serious violent act in the name of Daesh’s twisted ideology, and it is testament to the hard work of all involved that he has been jailed.